Remember Juicero? 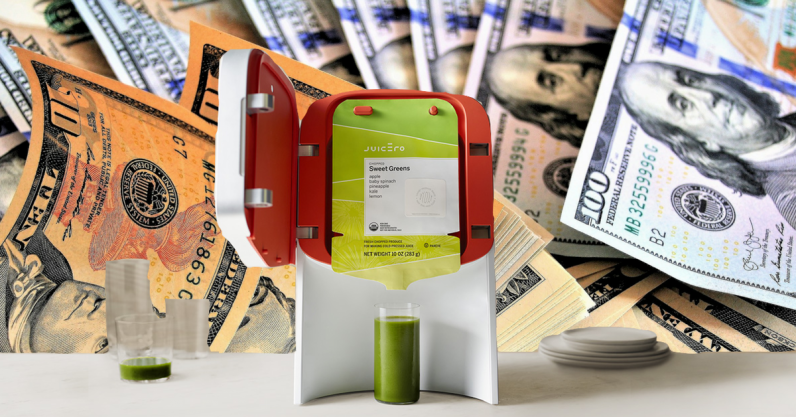 The utterly-ridiculous Silicon Valley juicing machine that cost $600, and turned pouches of medical-looking gunk into foul-tasting vegetable juice? And do you remember when Bloomberg realized that this overpriced machine was no more effective than actually squeezing out the pouches by hand? Good times. Anyway, towards the tail-end of 2017, the company imploded like the Death Star. Given Juicero was the only company producing the juice pouches, these highly expensive machines were rendered into expensive paperweights overnight. A few days ago, someone spotted a Juicero languishing in a Goodwill store, on sale for the bargain price at $40. That’s a steep discount from the original asking price, but it’s still not worth it, as it can’t actually produce juice anymore. Instead of being a $600 paperweight, it’s a $40 paperweight. But what if I’m wrong? It’s not entirely unthinkable that, a few years from now, I could be sat at home watching Pawn Stars or The Antique Roadshow, and someone brings a Juicero that ends up valued in the thousands of dollars. Which brings me onto an interesting question. If I stumble upon a Juicero in a thrift store, should I buy it and store it in my attic in the hope it’ll eventually be worth a lot of money? Mobile industry analyst Ben Wood is passionate about old tech. Mobile phones are his main love, and he boasts a collection of hundreds of retro handsets, some of whch have been highlighted on TV. He tracks their value like a hawk, so I figured he’d be an ideal person to talk to. His biggest concern with buying a Juicero as an investment is that a juice maker is far too generic to actually appreciate in value in a meaningful way. However, he admitted that it’s not entirely out of the realms of possibility, noting that other failed products have become highly sought-after. When Wood thinks something is going to soar in value, it’s often because it’s rare or unique. 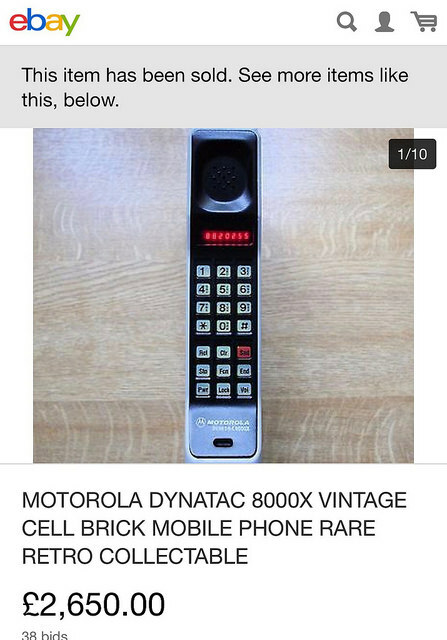 He cited the example of the Motorola Dynatac 8000x, which was the phone used by Gordon Gecko in Wall Street. He acquired one for £400 a few years ago. Recently, one sold on eBay for £2,650. Mads Hallas Bjerg, founder of antique appraisal site Mearto.com, didn’t think the idea was entirely ludicrous. There’s a big difference between the Amiga home computer and a Juicero. The Amiga was a beloved, iconic, and (for a while) commercially successful product. In comparison, the Juicero is tech’s equivalent of a Shakespearean tragedy. However, that could ultimately be one of the driving factors behind it eventually being worth a fortune. There’s a caveat, however. The odds of an antique being worth a lot of money is (obviously) increased if it’s in a good condition. For Juicero, that means in the original box, and preferably with some juice packs, too. After Bloomberg published its story, Juicero offered customers a full refund, provided they return their units within a 30 day window. Given the high upfront cost of the item, I assume most Juicero users took them up on their offer. That inevitably means that Juicero devices in the wild are scarce. It wasn’t a particularly successful gadget, either, which will contribute to its rarity. So, if you see an ultra-cheap Juicero machine in the wild, and you’ve got a few bucks burning in your pocket that you don’t mind losing, get one! It might earn you a profit later on down the line. Or, then again, maybe not. Who knows?